Perhaps hoping to revive interest to its aging feed reader, Google has just launched Google Reader Play. Â In essence this experimental product is an attempt to make the most interesting stuff in Google Reader more accessible for everyone while providing a new way of viewing feeds. Google Reader Play is currently an experimental product. But you don’t need to set-up anything to try it out. All you have to do is visit google.com/reader/play and you’re good to go. Basically, Google Reader Play presents feed items one at a time through a big display and in full-screen view. After viewing an item, you can simply click on the next arrow to move to the next item. Or you can jump into specific items by clicking on the filmstrip located at the lower part of the screen. Clicking on a specific item will bring you to its source. Now here’s the best part, when Google Reader display videos and images, these are automatically displayed in enlarged mode or full-screen. You don’t need to click anything to make this happen. Another notable feature of Google Reader Play is the fact that it adapts to your browsing preferences. 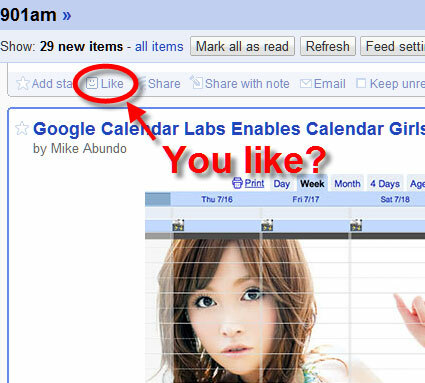 So while browsing, you can click on the “like” button and Google will use it to give you more items that might interest you. In addition, you can also choose to display items based on categories. Google Reader Play does not require you to login to your Google Account to view the featured feed items. But if you would like to “like” an item, you need to sign in. Once you’ve signed in to your Google account, anything that you do in Google Reader Play will be reflected to your regular Google Reader account. This only shows that Google does not intend to replace Google Reader with Reader Play. 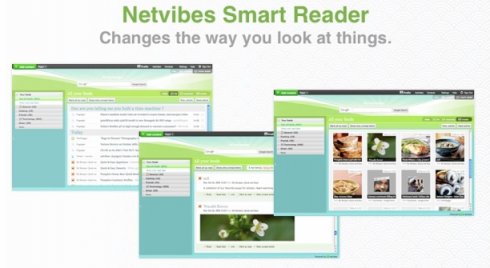 Â The later is just another way of viewing Reader feeds. Google Reader Play is a pretty sleek interface. But since, the feed items are randomly selected, you just won’t Â know when you’d get to view items that would really interest you. But of course, it opens up another avenue for Google to deliver ads. Facebook’s news feed makes it look like a content aggregator. Now Google Reader is starting to look more a like a social network. The world’s leading RSS reader now copies features from the world’s leading social network: people search and “like” buttons. The people search feature is itself powered by something else that’s very Facebookish: Google Profiles. This isn’t Google Reader’s first step into social networking. 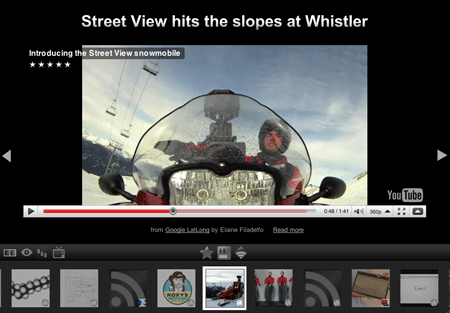 Google Reader users have long been able to share content with each other. Join a blog on Google Friend Connect, and it shows up in Google Reader. Once again, we see the different approaches these companies take to the Web: Facebook starts with people and moves to content, while Google starts with content and moves to people. We all know which approach advertisers prefer right now. Google makes billions matching ads to content, while Facebook is still trying to figure out how to match ads to people (Beacon fiasco, anyone?). Even in that area, Google is starting to match ads to people through behavioral targeting. Thing is, advertisers go where people go. We must ask which approach people prefer right now. Do people prefer discovering connections through content, or content through connections? Google Reader’s social experimentation should help answer that question. Seeker Solutions has released Sprout 1.0, a free, online, personalized news aggregator software that allows users to obtain the latest top news stories and blogs tailored to their unique and individual preferences. Seeker Solutions created Sprout to solve the challenges of trying to sift through mass amounts of information online. As Internet users become more pressed for time, Sprout enables every user to effortlessly find news articles or blogs that are relevant to them. 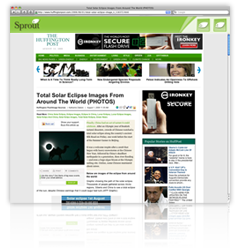 Seeker Solutionsâ€™ unique relationship-based software engine that powers Sprout allows users to easily access a wide-range of content from thousands of news sources and blogs. Once Sprout is conveniently downloaded to the userâ€™s computer, users are able to immediately begin training their Sprout interface with their individual interests.